Half the size, three times the price. 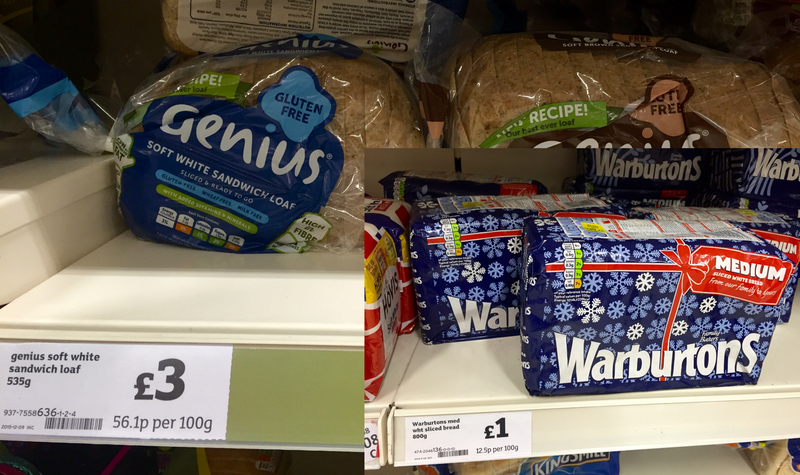 The gluten free bread that’s so cheap now according to the NHS! My wife was diagnosed with celiac disease back in the early 2000s and she has had to have a special gluten free diet ever since. We were on a low income & the GP prescribed some gluten free bread flour & pasta for her, so she could at least have something to eat as the prices of the gluten free foods were through the roof. Now it seems all that is coming to an end, at least in West Norfolk. Here is the letter and the claim that by stopping the food on prescription West Norfolk CCG will make a massive dent in their potential financial shortfall of £4.9 Million.